Rawlins Paints stock a wide range of anti-slip aggregates and decorative paint additives which can be added to our floor paints to provide various effects and textures for enhanced performance or just improved appearance. The most common way of making any floor paint anti-slip is to use an anti-slip additive and either add it the floor paint before application or scatter it on to the first coat and apply a second coat of floor paint to sandwich the aggregate in. So, whether you are looking to make your garage floor stand out by applying our decorative floor chips, or applying one of Rust-Oleum’s Ultra-Wear paint additives to increase the wear resistance around heavily trafficked areas, Rawlins Paints can help you get the best finish for your floors, every time. To be added to any of the Epoxyshield Floor Coatings range - Epoxyshield Ultra, Epoxyshield Sealer, Epoxyshield Maxx and Epoxyshield Garage Floor Coating to produce a non-skid surface. 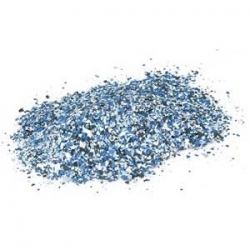 Rust-Oleum Epoxyshield Decorative Flakes (Chips) are intended for use with their Epoxyshield Garage Floor Coating or Epoxyshield Maxx however it can also be used with other Rust-Oleum Mathys Floor Coating Systems. 508 Fine Particle Anti-Slip Additive is a fine particle texturing additive specially formulated to be added to various products in our floor coatings range to provide a finely textured finish that increases 'anti-slip' properties but allows the surface to still be easily cleaned. 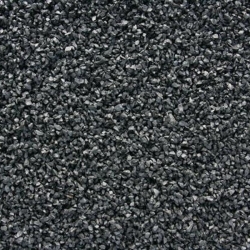 A specially formulated quartz aggregate to be added to various products in our floor coatings range to provide increased 'anti-slip' properties in both dry and wet conditions to improve safety.&nbsp;Broadcast/sprinkle into the freshly applied wet coating and over coat once dry to encapsulate the additive fully. A specially formulated quartz aggregate to be added to various high build products in our floor coatings range to provide increased 'anti-slip' properties in both dry and wet conditions to improve safety. 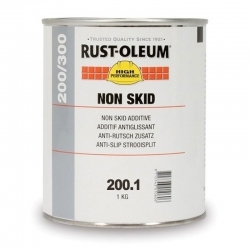 Rust-Oleum Non-Skid Additive NS 200 is a specially selected non-skid additive that can be mixed with the required Rust-Oleum coating system or sprinkled into the freshly applied coating to produce a non-skid surface. 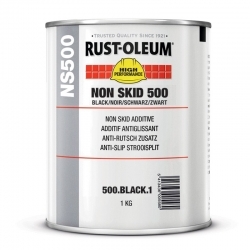 Rust-Oleum Non-Skid Additive NS 500 is a specially selected non-skid additive that can be mixed with the required Rust-Oleum coating system or sprinkled into the freshly applied coating to produce a non-skid surface. Rust-Oleum Ultra-Wear 400 increases the wear resistance of floor coatings, and is a special additive based on aluminium oxide to enhance the abrasion resistance and traction of floor coatings. Coo-Var Profloor Anti-Slip Aggregate Option is ground mineral powder of specific particle size (0.25 – 0.39mm) to be used to create an anti-slip element to Coo-Var Profloor 2 Pack Epoxy Floor Paint. 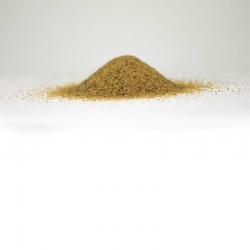 Coo-Var Profloor Plus Anti-Slip Aggregate is ground mineral powder of specific particle size (0.54 – 0.71mm) to be used to create an anti-slip element to Coo-Var Profloor Plus, Profloor Plus FH and Coo-Var Profloor Plus Cold Cure 2 Pack Epoxy Floor Paints. 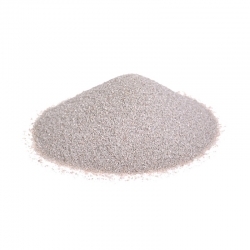 Jotun Anti-Skid Aggregate is aluminium oxide grains, designed to be spread into the last coat in a non-skid system. 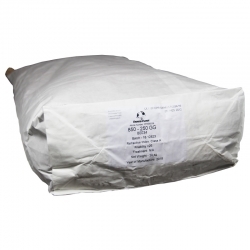 Available in extra coarse, coarse, medium and fine particle sizes. Suitable as anti-skid material in a wide range of coating systems in atmospheric environments. Suitable on any type of surface, depending on the specific coating system. Reflective Glass Beads to increase reflectivity, durability and slip resistance of surface applied coatings. For ‘drop-on’ or ‘surface-applied’ application which conforms fully to the requirements of Class B of BS 6088 1981. Sometimes, even anti-slip floor paint needs an extra level of durability and added grit to improve under-foot and under-vehicular skid-resistance. Generally, Coo-Var, Jotun, Rust-Oleum and Sika manufacture compatible anti-slip paint additives to be used with their epoxy, solvent or water-based floor paints. Rust-Oleum Epoxyshield anti-slip-additive can be added to some of their garage floor paints, to help extend the lifespan of the surface through above normal wear and tear. Applied evenly to a freshly laid floor coating, this highly effective non-skid additive will make lighter work of any cleaning work. If sprinkled or broadcast paint additives and decorative flakes fall outside of the painted area, it is not advised to paint over them. Applied methods are quite strict for full product benefits to be achieved, and changing application technique from that outlined in product datasheets could mean that a surface is not sufficiently anti-slip, and could risk the topcoat peeling away, as it does not directly adhere to a surface. 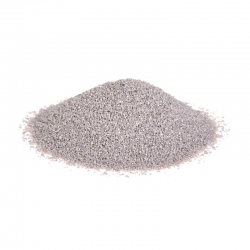 There are several degrees of additive coarseness available, from the lightweight 508 Fine Particle Anti-Slip Additive right up to the extra-course aluminium oxide grains in Jotun’s Anti-Skid Aggregate. Each product is recommended for specific use – from pedestrian traffic only, right up to helidecks. A large volume of Sikafloor products available at Rawlins Paints reference Sika Quartz Sand in their description and datasheets. 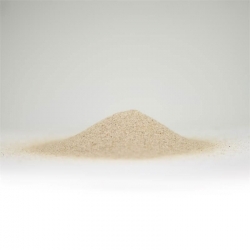 This light-coloured, kiln dried, graded quartz sand provides a mechanical key for subsequent levelling materials. 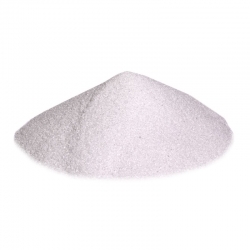 It can also bulk up screeds and mortars, along with being an anti-slip additive.